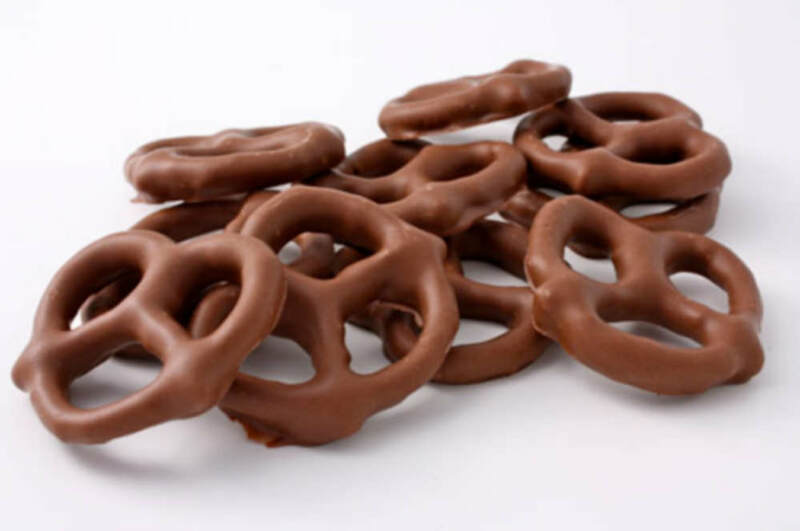 Chocolate Dipped Pretzels: Crunchy pretzels dipped in smooth chocolate. 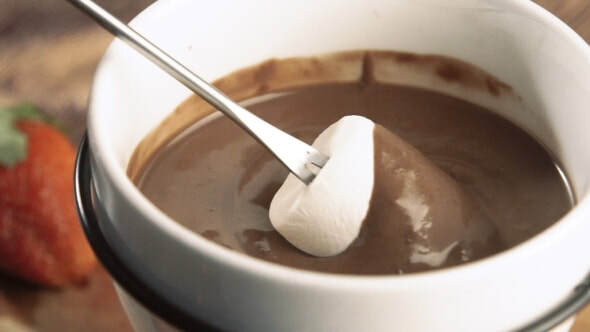 Dipped in either milk chocolate or dark. Sweet N Spicy Cheeds: Hot Cheetos en-robed in smooth milk chocolate. Spicy and sweet all in one. Chocolate Covered Gummy Bears: Sweet gummy bears en-robed in milk chocolate. Rocky Road Marshmallow: Two marshmallows dipped in caramel, rolled in peanuts, then dipped in chocolate. Dipped Almonds: Almonds dipped in dark chocolate. 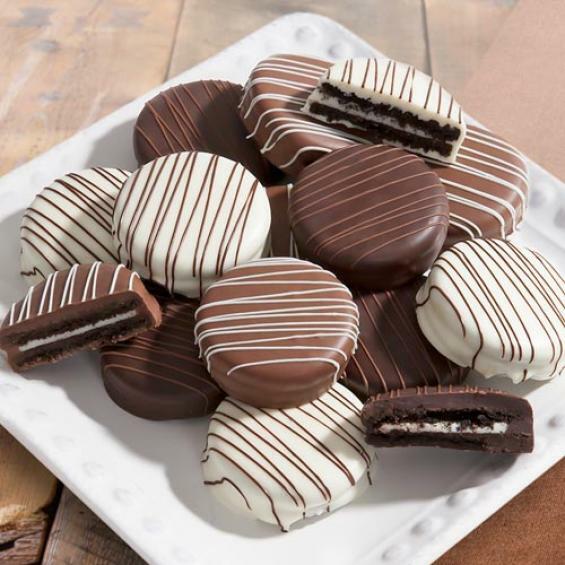 Dipped Marshmallows: Milk chocolate dipped giant marshmallows. Large Puppy Treats: A bag of 10 large vanilla coated (cocoa free!) milk bones for your pooch! Puppy Treats: A bag of a dozen small vanilla coated (cocoa free!) milk bones for your pooch!